Java Serialization API appears to be a fundamental element of the Java software platform. And it seems to be so simple, that people are self-confidently sure, that they know all about it. However, as it used to be in many other Java platform`s aspects, Serialization gives benefits to those, who are searching for them. This presentation explains why it's important to enhance your Java Serialization API expert knowledge and stay on track. 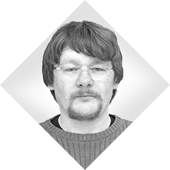 Mikhail has more than 10 years of software development experience.